Spring is the perfect time to learn about birds as we can hear and see them all around. 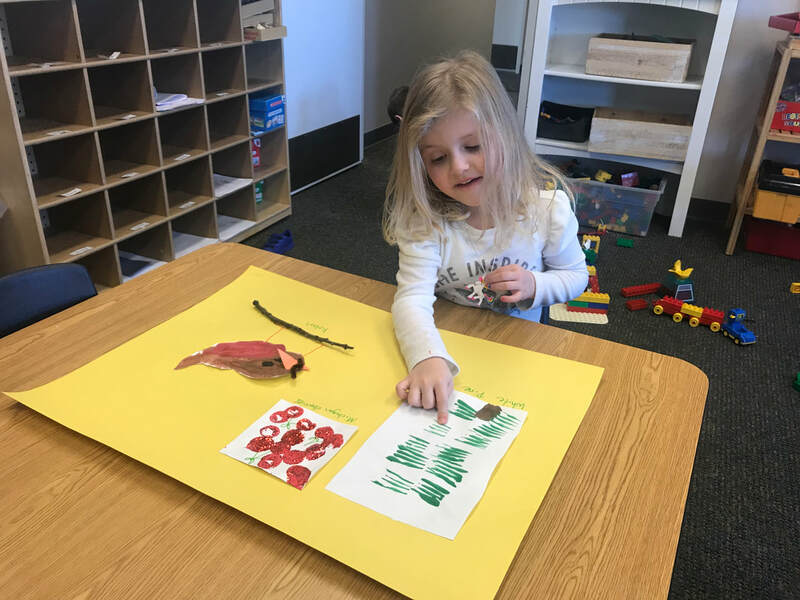 The preschool children at Alpine have been studying birds and concepts such as food chain, nesting, and migration. In this video you can see how engaged they all are as they are dissecting owl pellets. Last week, we had a visit from some Michigan swam creatures. Carol with Dynamic School Assemblies came to share her love for frogs, salamanders, turtles and snakes. She taught us some fun facts and let us pet and hold some of her animals! We Love Our State of Michigan! 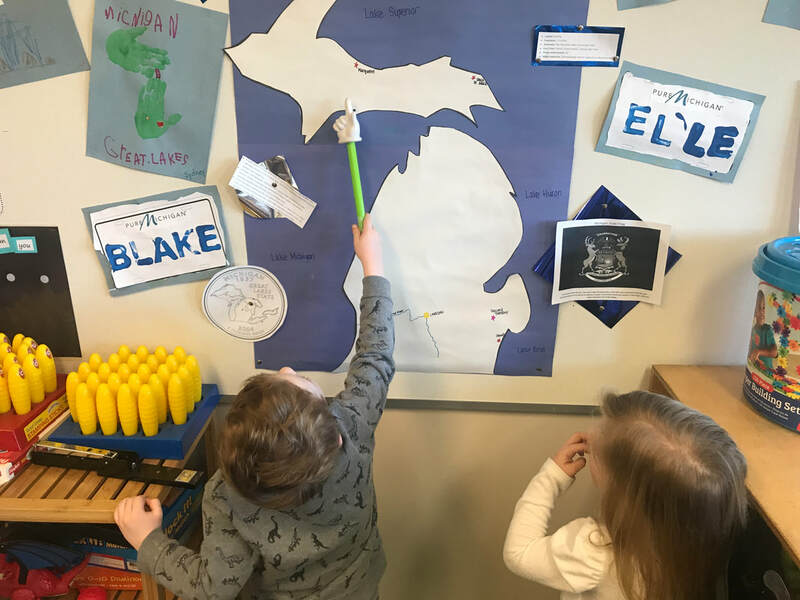 Preschool children learned so many interesting facts about the State of Michigan. They learned that Michigan is famous for its cherries, white pine trees, and that the red robins like it here too. They studied the map of Michigan with the upper and lower peninsulas, and the surrounding lakes. Their favorite fact, was learning about the lighthouses, and how they help the sailors find their way in the dark. The children in Ms. Patti's class read the story of The Three Little Pigs, and they loved retelling the story while practicing their math skills. For the pig houses they counted out 20 pieces of straw (shoestring potatoes), 8 sticks of wood (pretzels), and 2 bricks (KitKat minis). The best part was snacking on the pig houses!